26 challengers participated to the soldering contest which took place during the Lyon Mini Maker Faire 2016. They used 8 to 50 minutes to get a Starter Kit up and running from the PCB and parts ! For those interrested in programming the micro-contrôleur, you can reffer to the paper from Cyprien Laplace published in Open Silicium n°17 : “Utilisation du SDK Mbed sur un tout petit micro-contrôleur LPC810″ (pages 60 to 63, in french). This will get you on tracks and you’ll be able to re-use your Starter Kit in your next Maker project ! 1st Samuel 8 min. 16 sec. 2nd Maxime 8 min. 30 sec. 3rd Nathaël 8 min. 50 sec. 4 Rafik 9 min. 30 sec. 5 Anthony 9 min. 57 sec. 6 Oscar 11 min. 18 sec. 7 Jean Noël 15 min. 29 sec. 8 Guilhem 15 min. 35 sec. 9 Alexandre 15 min. 54 sec. 10 Mme P. 17 min. 31 sec. 11 Eliott 17 min. 35 sec. 12 Caroline 22 min. 05 sec. 13 Kim 24 min. 14 sec. 14 Augustin 24 min. 34 sec. 15 Martin 25 min. 47 sec. 16 Florian 26 min. 21 sec. 17 Ethan 30 min. 13 sec. 18 Pierre-Gilles 30 min. 38 sec. 18 Yvain 30 min. 38 sec. 20 Mathieu 33 min. 00 sec. 21 Maxime 35 min. 26 sec. 22 Hervé 36 min. 24 sec. 23 Flore 40 min. 36 sec. 24 Olivier 42 min. 49 sec. 25 Mathias 44 min. 08 sec. 26 Elwann 50 min. 00 sec. Techno-Innov will be present for the Mini Maker Faire Lyon on Mai 28 and 29. We will hold a soldering workshop for those looking forward to learn or improve their skills, or want to discover new soldering tricks and make professional quality PCB at home at very little cost. Here is the link to the Video made by Sébastien Meunier (in French) during Innorobo 2015 for France télévision (Méta Média). The video presents some parts of the 1/87th scale Car-System we made for the Mini World Lyon project. It focuses on our prototyping platform made using common prototyping technics as found at YouFactory or in many other FabLabs. DTPlug’s box, which went through validation stages using 3D printing (hot wire) before mold production. Prototype model for the car system development for MWL‘s huge, 300 square meters, model, built for a permanent show. It has been made using laser cutting. Prototyping and production of the charging stations for the vehicules, also using laser cutting. Prototyping and production of the chassis and front steering assembly using 3D printing, but with resin (Using a FormLabs Form 1+, which produces finer details. 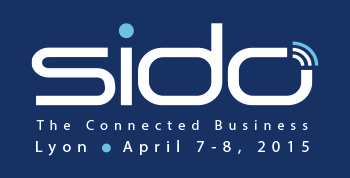 Back from SiDO event. Thank You ! We made a presentaion around home automation for the “Jeudi du libre” on December 5 in Lyon, with some focus on open home automation. For those unable to come (and those who came), here is the link to the presentation slides. Thank you to all the participants for their listening and their questions (we spoke till 22h30), and thank you to the MPT for hosting ! Delivery only in Lyon (FabLab, MPT), Villeurbanne (Campus de la Doua) and Meyzieu. The “Alchimie X” event is over, and we are a little bit late to give you the soldering contest results, but here they are ! Congratulations to the young Vincent who kept his nerves cool all along despite his youthfulness and won the contest hands down ! This WeekEnd we will conduct soldering workshops and contests: Saterday in Lyon during the “Expériences Numériques” and Sunday in Tain l’Hermitage (26) during the “Alchimie X” event. In both cases the quickest participant to complete the assembly of a working Starter Kit (simple version) will get a reward by the end of the day. Participation the the contest will require the purchase of the Starter Kit. Supervised soldering workshops will require an extra two euros. We will also run CMS soldering workshops (using the GPIO Demo module Kit (to be purshased) during these two days, without extra cost, and we will provide the solder paste. L’Open World Forum took place in Paris from October3 to October 5 2013. Eventually, we received all the parts in time so you were able to make your own badge and try you soldering skills. For those who were unable to attend the forum, no worry, we have many letf, for both the simple starter kit (two leds version) or the RGB leds version for advanced users. As some may be aware, Open World Forum 2013 will stand in Paris from October 3 to October 5 2013. Anyway, we created a soldering introduction kit that will then become an ARM Cortex-M0 micro-controller development kit fot the DIP8 package version of the LPC810 (the big one, easy to solder, which you can use on breadboards). But NWP changed the chip status from preview to production … with a production hole of one and a half month. Of course the remaining stocks were bougth before we learnt about this problem, and we had to find an alternative. In order to keep the main idea behind this, we chose to use the bigger brother of the LPC810 : the LPC812. Same silicium in a smaller package with more pins … in a surface mount package … which had us creating an adapter board. in short, PCB are in production, we ordered the components, and all should be delivered in time for the forum. And for those who won’t be there, no worry, we had to order much more than planned for the forum to be able to get within the budget, so this kit is available on our store at a very low price for such a product: 6€ TTC (without shipping). Of course, this is for the Open World Forum, so it’s Open Hardware !